(…) Dr. Al started working at the New York Fed two years before I was born and spent 22 years as chief economist at Credit Suisse First Boston. Sixty years on he’s still explaining where the financial world is going and why, somehow doing so without a supercomputer in sight. Dr Al is the best of the best when it comes to understanding those inner workings, in this case of our economy and the world’s. And that’s why he’s the author of the only guest post I’ll ever print in this rag. It’s about the so-called ‘so-called fiscal cliff’ we’re so worried about. His explanation is simple, untainted, and worth reading and he’s allowing me to reprint it here. I’ll come back at the end with a comment. 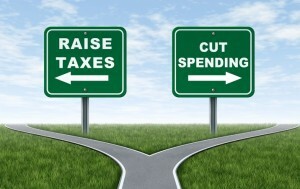 Although most observers have long understood that fiscal policy is tightening, many may have underestimated the severity of the tightening scheduled for 2013, and the difficulty of reconciling the conflicts of ideology and personal ambition that separate the parties who would have to agree to any mitigating ‘deal.’ While the contestants joust, the economy is already falling off the fiscal cliff. Most of the public remains blissfully unaware of the scale of the problem. They will be aghast when, soon after year-end, they experience reduced take-home pay and higher tax bills, as well as unforeseen job losses at the many entities, both public and private, that depend, both directly and indirectly, on federal funding and contracts. Monetary policy has been hard at work to produce sharply lower long-term interest rates, an easing of credit availability, and a recovery in home and stock prices. In recent months (some three years after the end of the Great Recession), households have finally responded by stepping up sharply their purchases of homes, autos, and other durable goods. The increased spending has reduced the rate of personal saving to near its pre-recession lows. Saving will narrow further as unanticipated tax increases bite into incomes until households are forced to curtail their outlays once again, bringing on a new recession. The improvement in business due to the increased buoyancy of the household sector has been partly offset by reductions in military and state and local government outlays. But more ominous is the fact that business capital investment, which had earlier sustained the economy by rising at double-digit rates, is now actually shrinking — notwithstanding record profit margins and the low credit spreads brought about by Federal Reserve policy. The decline reflects mounting fear that the impending setbacks to household incomes will halt or reverse the upward momentum in consumer spending, which is the chief source of business revenues. The indifference of elected officials to such a disastrous reversal is yet another reason for the widespread loss of confidence in governmental competence. Awareness of these dangers is bound to have a major effect on the Federal Reserve’s policy decisions. Lower interest rates and easier credit have played a key role in strengthening business investment, raising real estate and stock prices, and promoting the recovery in housing starts and consumer buying. As long as stringent fiscal restraint persists, so will monetary ease. Although the current technique of ‘quantitative ease,’ i.e. the large-scale buying of Treasury and mortgage-backed securities in order to lower longer-term rates of interest, may eventually be subject to diminishing returns, it seems to be working well for now. The Federal Reserve has also announced specific thresholds of 6½% for unemployment and 2 1/2% for inflation to underline its commitment to continue aggressive ease until economic growth is satisfactory. This suggests that, absent a benign fiscal agreement, high quality bond yields may well decline even further. Meanwhile, the cost-of-living index will be sustained by the increasing prices of utilities, transit, education, and medical care, as governmental supports are reduced. I hope this sample motivates you to study Dr. Wojnilower’s essay carefully. I’m looking at the St. Louis Fed data on business investment and Fed statistical release Dec 6 right now. This entry was posted in Financial Crisis and tagged Fiscal cliff by Steve Darden. Bookmark the permalink.